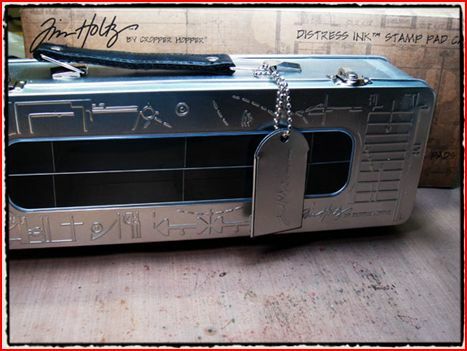 Tim Holtz is giving away 12 of his ink storage tins that are no longer avialable! You can enter to win one by visiting his blog and leaving a comment there or by creating a project using his Distress Inks and e-mail it to him with a short description. Find all the info by clicking here on Tim’s blog, hurry deadline is this Friday the 28th.